Buyers must enter home with agent, beware collapsing front deck. 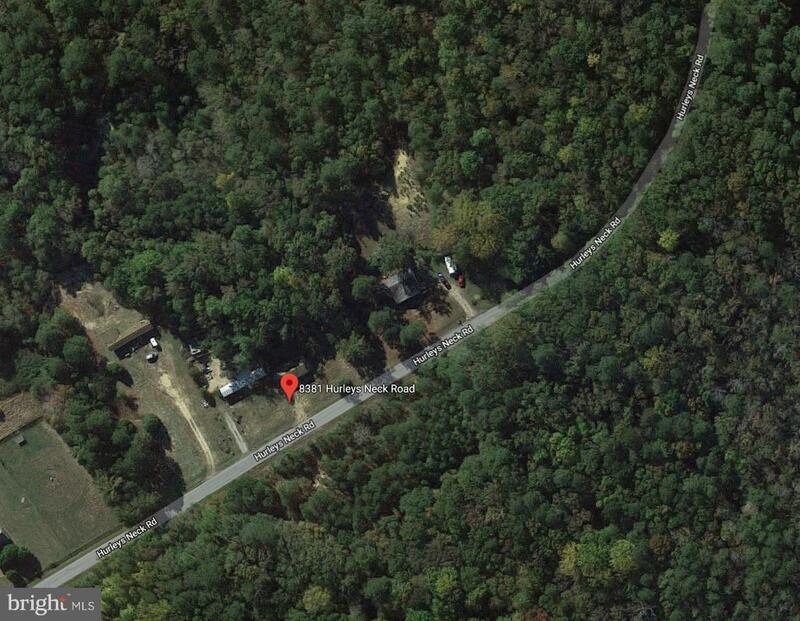 This 2.52 acre property is located within Mardela School District and would be the perfect land for building your dream home. Beautiful creek flows through property. 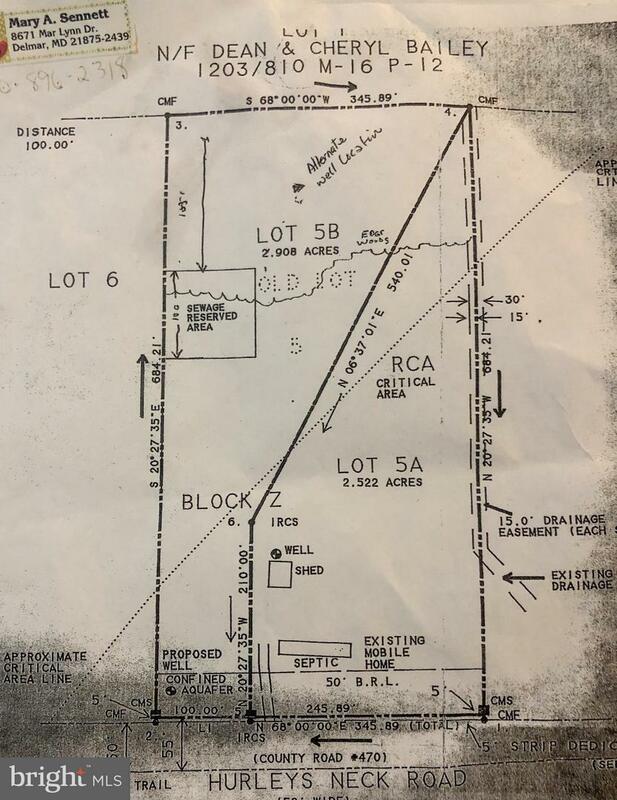 Adjoining lot 8385 Hurleys Neck Road (MDWC100938) also for sale to make a total of 5.42 acres. Both lots have existing well, septic, and electric meters.